Eric was raised in a small farming town of northern Idaho. He attended ultrasound school where he received his B.S. in Medical Imaging (vascular option). His fourth year of college included an internship in Phoenix, AZ. 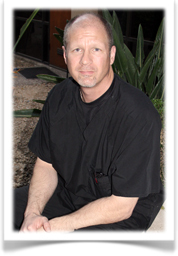 He has worked at several hospitals and outpatient clinics over the years before starting Arizona Doppler. 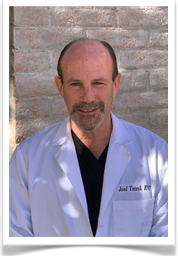 Eric’s passion with CCSVI started with a patient last spring bringing in some information about a new thought process by Dr. Paolo Zamboni about venous flow and problems with stenosis or occlusion and the association with Multiple Sclerosis. Eric made several trips to New York for specialized training for the Doppler of CCSVI which he shared with his techs. 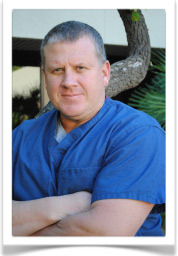 Eric is passionate about being a part of diagnosing CCSVI because they have seen first-hand the improvements that can happen to patients after the liberation procedure is performed. Nicole was born and raised in Montana – Big Sky Country. She attended Oregon Institute of Technology receiving her Bachelor of Science Degree with a major in medical imaging technology – Vascular option. After completing her internship in Bellevue, Washington she moved to Arizona in 1996 to begin her career in the field of ultrasound. Nicole has always had a passion for working in the medical field for as long as she can remember. She loves what she does, because potential life-limiting problems can be detected virtually painlessly in a matter of minutes using noninvasive ultrasound technology. Even after all these years, Nicole feels a great sense of satisfaction and passion for providing the absolute best for each patient she has the privilege of meeting and scanning. 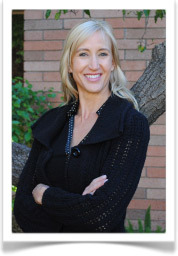 Nicole is co-founder of Arizona Doppler Specialists. In her spare time she loves to bike, read, travel and spend time with family, friends and her sweet Great Dane – Rose. Susan graduated from ASU with a Bachelor of Science in Business Administration and a major in Computer Information Systems. After graduation Susan looked for a job in the computer industry with little luck, however she was able find work at a major hospital in Phoenix. It was in the medical field where Susan found her “niche”. Since virtually everything in the hospital is computer based she fit right in. 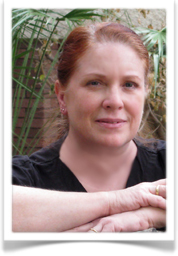 After about four years Susan was given the opportunity to learn Vascular Ultrasound. She studied under the direction of three Registered Vascular Technologists (RVT) and a Medical Director/Vascular Surgeon who loved to teach. In 1990 she obtained her RVT with the American Registry for Diagnostic Medical Sonography (ARDMS). Susan then went back to school to learn Echocardiography. 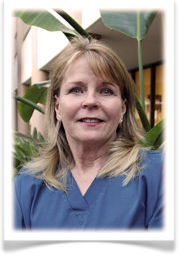 Susan enjoys patient care, which is the major reason she has stayed in the medical profession for over 25 years. Kirstyn grew up on a ranch in a small town in Southern Oregon. She graduated from Oregon Institute of Technology with a Bachelor of Science in Vascular Technology. During the final year of her education Kirstyn completed an internship at a hospital in Seattle, Washington. From a young age Kirstyn knew that she wanted to be part of the medical field and as soon as she discovered the field of ultrasound she knew it was the career for her. 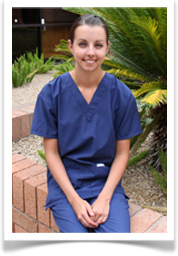 She enjoys getting to know her patients and being able to help figure out what’s causing them pain and discomfort. In her time away from work Kirstyn enjoys being outside, traveling, horseback riding and relaxing with her dog Penny. Lee was born and raised in Cincinnati, Ohio until her family relocated to Phoenix, Arizona in favor of warmer climates and more opportunities. She has raised five beautiful children with her husband, Mike Torres. Lee’s career in vascular ultrasound began in 1990 and she has enjoyed it ever since. She was trained on the job by experienced registered vascular technologist’s and became registered herself in 1995. Marian Wright Edelman says “I’m doing what I think I was put on this earth to do. And I’m really grateful to have something that I’m passionate about and that I think is profoundly important.” A belief Lee echos. In her spare time Lee enjoys reading, great music and spending lots of time with family. Her dream is to travel to Europe in the near future. Shane grew up a small town in Iowa. After graduating high school he had the honor of serving in the US Army, where he began to realize the privilege of serving for a purpose higher than one’s self. On fulfillment of his military service Shane attended Seattle University where he earned a Bachelor of Science in Diagnostic Ultrasound and continued to seek opportunities to serve others. The field of ultrasound provides him the unique opportunity to serve many people. Over the 14 years Shane has been working in ultrasound he has met all kinds of people with different life stories and circumstances. Each encounter is an opportunity to give comfort, share encouragement and provide the best quality exams possible for them and their physicians. Shane loves what he does, where his passion is serving others, so they know someone cares about them and also for them. The encounters may be brief, but they can make a significant difference. Outside of work Shane enjoy spending time with his lovely wife and son. His hobbies include reading, exercising, learning and relaxing. In her free time, Laurie loves to run (the hotter the weather, the better), perform concerts in her kitchen while cooking up some delicious food, antiquing (Pyrex forever!! ), trying to love up on her granddog, Sadie, without being allergic and watching college football (Go Dawgs!!). In his spare time Joel enjoys fishing, a little hiking and trying new recipes in the kitchen. started ultrasound school with the intention of becoming an OB ultrasound technologist, but when she was introduced to vascular, she quickly changed career paths to focus on vascular ultrasound. Laly completed her internship in California where she received training from several great vascular techs. Following her internship, Laly began working in clinics and hospitals in the area. 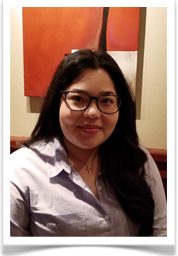 Laly became registered with ARDMS in 2018 and moved to Arizona. In her free time, Laly enjoys drawing, reading and traveling back to California to visit family and friends.